Aside from the obvious joy that would result from traveling to Pennsylvania and joining the Amish, living out the rest of your life blissfully free of whether Taylor Swift was lying about Kanye or not, it’s unclear why Pegg has chosen now to make his anti-promotional stand. One gets the impression the actor would have been just as happy making this request back when the first trailer was released, given his antipathy toward the Beastie Boy-scored hype for the latest adventures of the starship Enterprise. So why wait until the week of the film’s release? 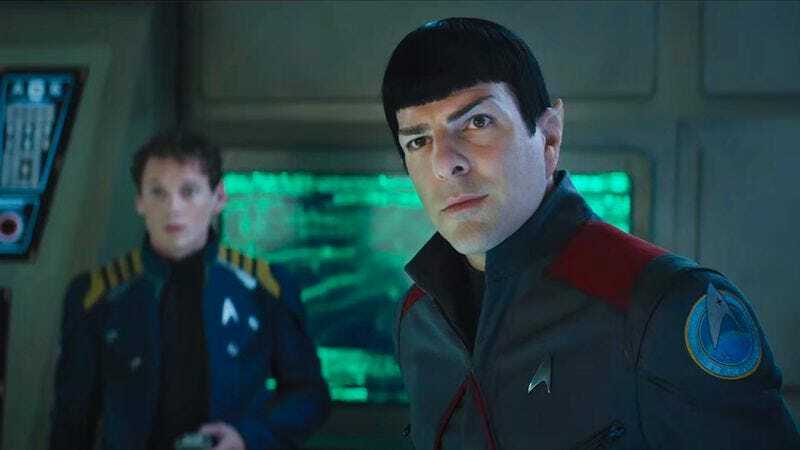 Unless Paramount has made the decision to boldly go and give away every single plot point from the movie in a new series of ads with the headline, “Don’t watch the movie, just absorb the facts in this 30-second clip,” it seems unlikely there will be much more revealed in these last couple of days. Perhaps Pegg just wants us all to get as close as possible to the old experience of walking into a theater cold, with no foreknowledge of what we’re about to see, save the fact that it’s a Star Trek film? Again, if that were the case, a little more advance warning would have been useful. Or maybe Pegg, who quit Twitter in 2014 and has all his comments filtered through a third party like the one above, will take to his blog again (as he did last week to address the issue of sexuality and Star Trek canon) and pen a lengthier explanation of his aversion to publicity for his own film. It may be that he‘s simply converted to a rabid Adbusters-inspired hatred of all popular culture and advertising. We’ll know for certain when Scotty appears on the deck in the first scene of the film, reading No Logo and admonishing Kirk for letting Starfleet brand everything onboard with its damn insignia.